So I recently got THE LETTER. The letter I get every year, telling me the results of my annual Thyroglobulin test. This is the test that tells us if I am still cancer free or if my cancer has returned. They also do TSH and free T4 tests to see if I’m on the right dose of my thyroid medication. I’m still cancer free! Thyroglobulin was completely undetectable in my blood. This is obviously a HUGE relief to me. I was a little worried this year, as it took longer than usual to receive the letter. 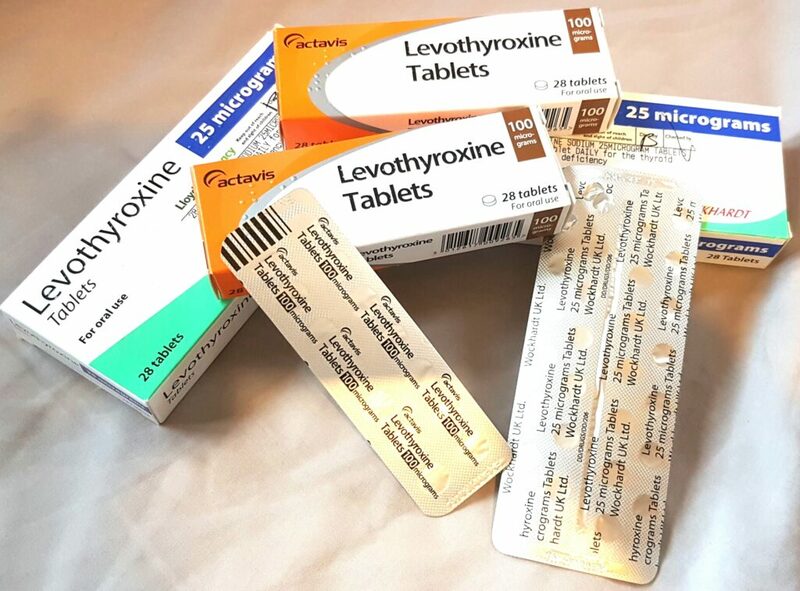 My medication (Levothyroxine) is the thyroid hormone, which ordinarily, would be produced by your thyroid. As I don’t have a thyroid, I take this hormone by tablets every day and will have to do so for the rest of my life. Thyroxine controls mood, weight and temperature regulation. It controls the speeds of many processes in your body, including your metabolism. It also has an impact on controlling muscle strength. This is not a hormone that you can live without for very long and people whose thyroids are overactive or underactive, can feel very unwell until treated. The pituitary gland tells your body when to trigger TSH (Thyroid Stimulating Hormone). This in turn, causes your thyroid to make thyroxine. The brain is not quite smart enough to know if you’ve had your thyroid removed, so my body still produces TSH, even though there is no thyroid to make thyroxine. However, if there are residual thyroid tissue cells left in the body, the TSH can cause these cells to multiply. For someone who has cancer cells in the body, those cancer cells, which clung on to thyroid cells, will also multiply. This is the reason I had radioactive iodine treatment – to nuke any remaining thyroid tissues (and cancer cells), which were not removed by surgery. 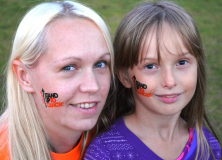 It also means that since my surgery and radiotherapy, I have had to deliberately suppress the TSH – to prevent the cancer coming back. The way to do this, is to be permanently slightly overdosed on thyroxine. If the body has too much thyroxine, the TSH will not tell the body to make more. It’s a pretty complicated organ to be fair and I’m no doctor, so I don’t blame you if you’ve nodded off reading this. SO… Four years on, my dose of thyroxine is stable and my TSH is suppressed, making my risk of getting cancer back, extremely low. My consultant has written in the letter, telling me that he now wants to lower my dose and allow my TSH to rise. If there were any cancer cells left in my body, then this is the time that they will start to reproduce. Quite frankly, I’m a bit shocked. I wasn’t expecting my dose to be changed. I wasn’t expecting risks to be upped. It seems a bit experimental. I suppose in a way, it shows my consultants faith in my cancer being gone, but nobody explained this progression to me. My consultant was too busy to see me at my last appointment, so one of his team literally just popped in and said, “any concerns?” and then fled after a fleeting “see you in a year”. The letter quoted this as “treatment progression”, but as I’ve been cancer free for four years, I hadn’t actually considered myself as “on treatment”. I guess I’m technically “on treatment” for the rest of my life. This is the part where I admit, I got this letter in December and I haven’t yet followed my consultants instructions. I know from experience, that lowering my dose of thyroxine, could make me go hypo (hypothyroid). Being hypothyroid causes me to feel tired, depressed, weak, gain weight, lose my appetite and generally just feel a bit crappy. We’ve had a lot going on in our lives over the last six months and frankly, I just can’t risk putting myself through that at the moment. It may be silly, but for now, I’m happy staying in my safe bubble, where my hormones and my health are stable. In a month or two, when our lives will hopefully be a bit simpler and easier, I will then do as I’m told. For now… I’m focussing on the fact I’ve been cancer free for 4years (4years clear from thyroid cancer and 21 years clear from Leukaemia). This entry was posted in #EmmasArmy, Cancer, Charity / Awareness, Health, Medical, Radioactive mum and tagged Cancer, cancer results, papillary thryoid carcinoma, radioactive mum, Raising awareness, thyroid cancer, thyroxine. Bookmark the permalink. ← First Blog Post of 2018 – An update on our Christmas, NYE and the year ahead. Congratulations on another good news letter and another year of good health! I can appreciate your concerns about lowering the dose, it would be a scary prospect. I would want to know ‘why would I want to reduce the dose? What benefit is there to me?’ Best of luck getting some straight answers. Jenny @thebrickcastle recently posted..My 1500th Post. I can totally understand you wanting to leave your dosage as it is for now. I guess it’s always better to be on the lowest possible dose of any medication, but you don’t want to mess with it if it’s going to cause problems. It’s not in the same ball park, but I was told by my consultant to take my acne medication on alternate days. After five weeks, my spots started coming back. I wasn’t prepared to have them take over my face again, so I’ve gone back to taking it every day! This is amazing, you’re so brave, and congratulations on another good letter!